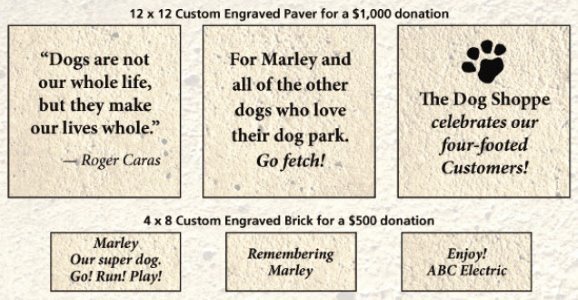 Purchase a Custom engraved brick or paver with your personalized message, and support Boston's first and finest Dog Park. Recognize your pup, your company, or someone special with this keepsake. Spaces are limited for both bricks and pavers in their respective walkways of the Joe Wex Dog Park in Peters Park.